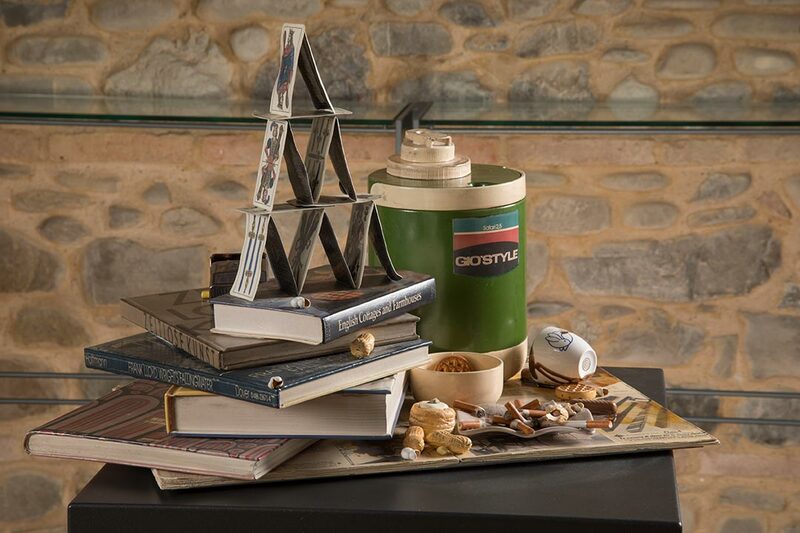 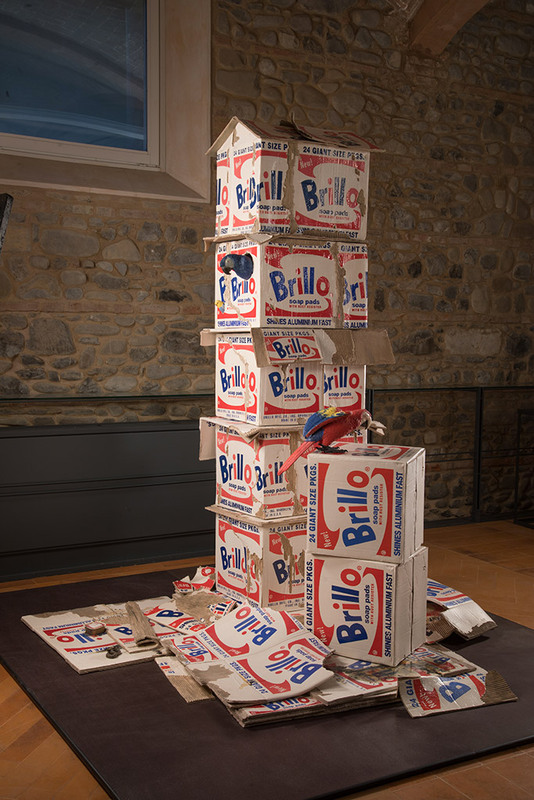 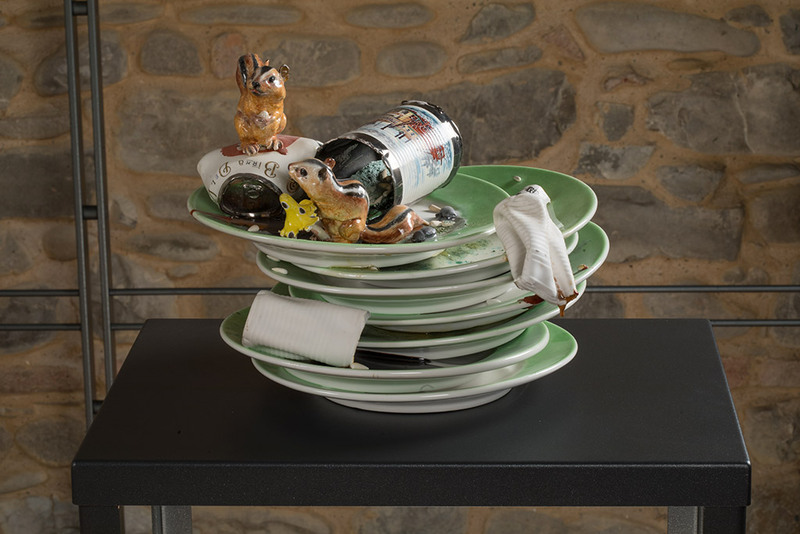 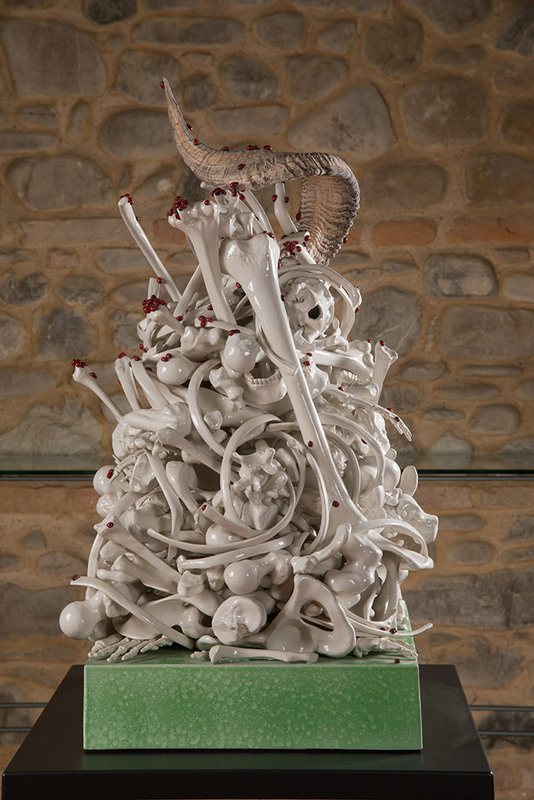 Since the early eighties, Bertozzi & Casoni have used ceramics as an exclusive expressive medium to make sculpture. 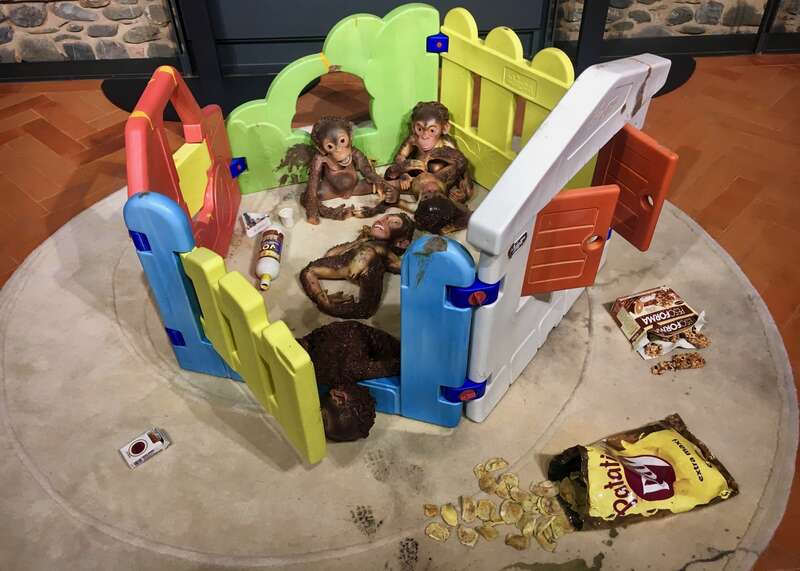 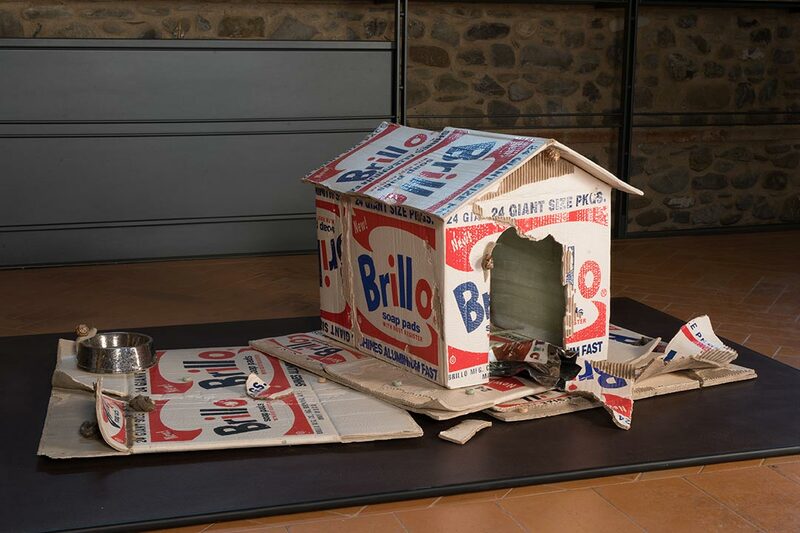 Their pieces have been exhibited in prestigious museums, important galleries and at major art fairs; from the 2000s their works have become internationally known icons of a human condition, and not just reflective of our current times. 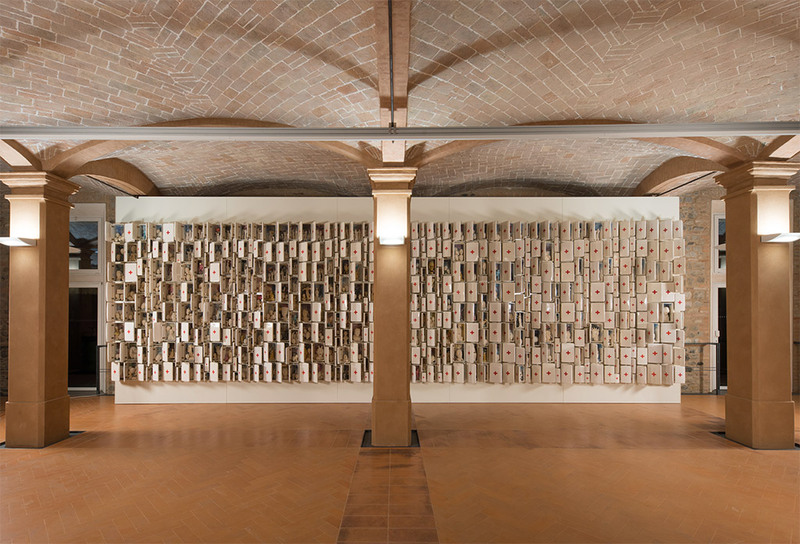 The Museum not only gives them their due and deserved recognition, but also marks a milestone in a long journey – of which Bertozzi & Casoni are the current climax – that, under the guise of figurative representation, has upheld the relationship with the great tradition of art, invigorating it with the sensitivities induced by the crises in ideals and in art over the course of the 20th century. 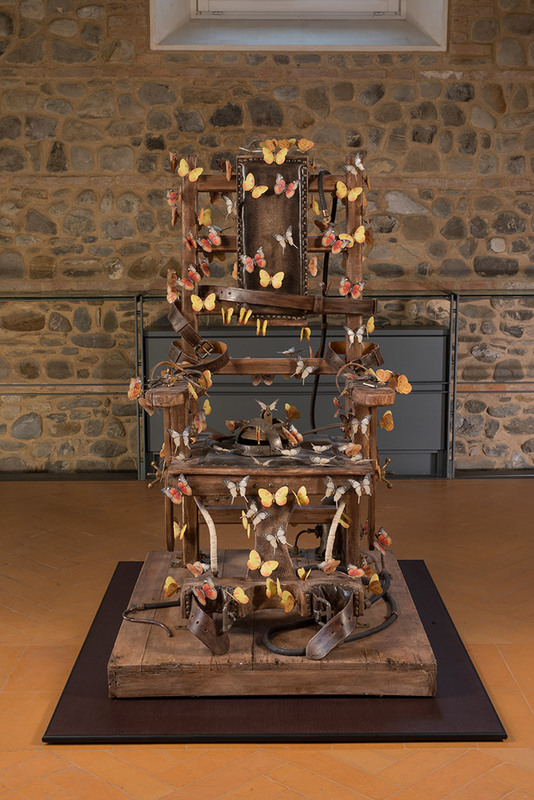 A path that has never placed in doubt the centrality of the attention to the human experience: the aspirations and downfalls, the apexes and abysses, the beauties and disasters. 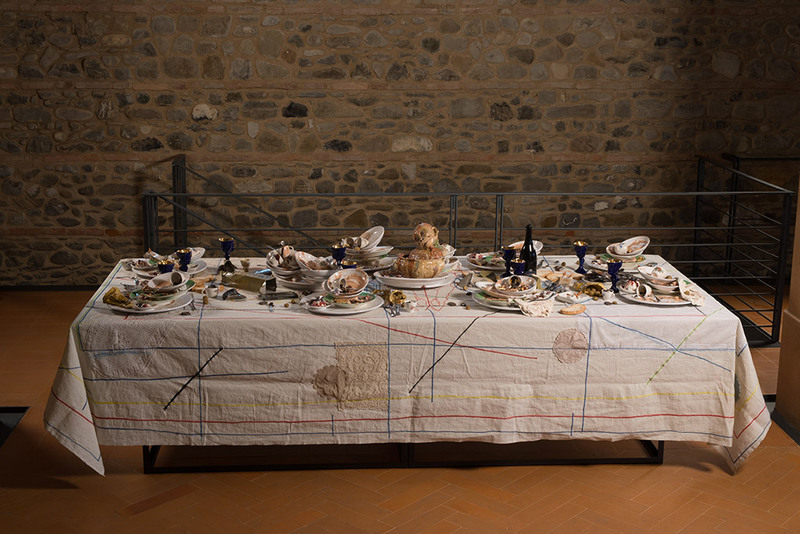 Bertozzi & Casoni take nothing for granted. 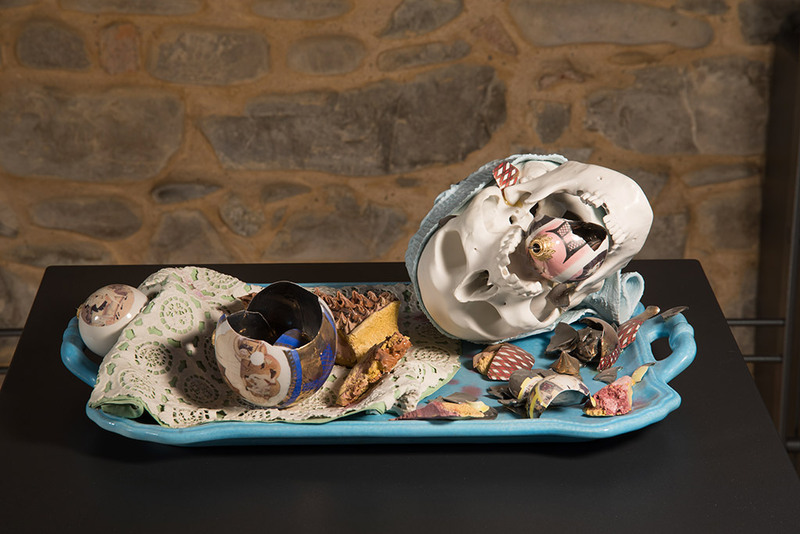 They record the marvel and the mystery contained even in the most reviled and repressed manifestations, or consequences, of life itself: with frequent references to the themes of memento mori, the horror vacui and their favourite, the vanitas. 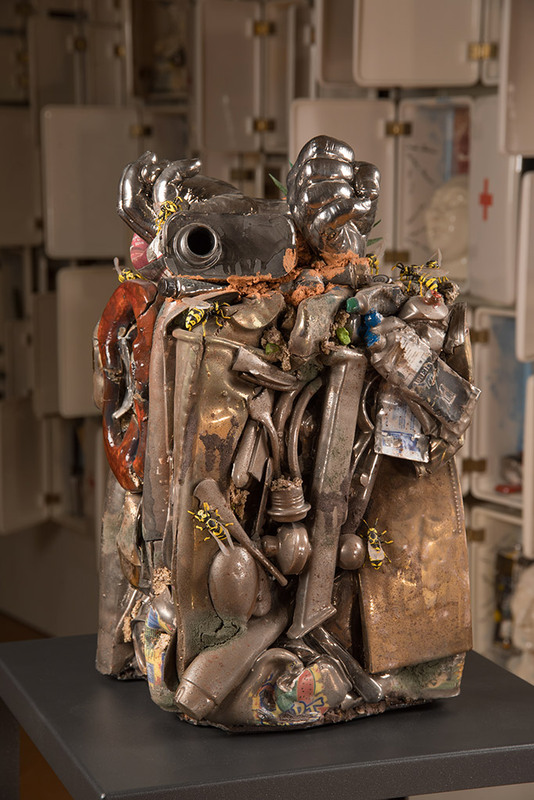 Redeeming those things by aesthetic means, the artists have put into play a complex, engrossing mechanism that has no end or no solution. 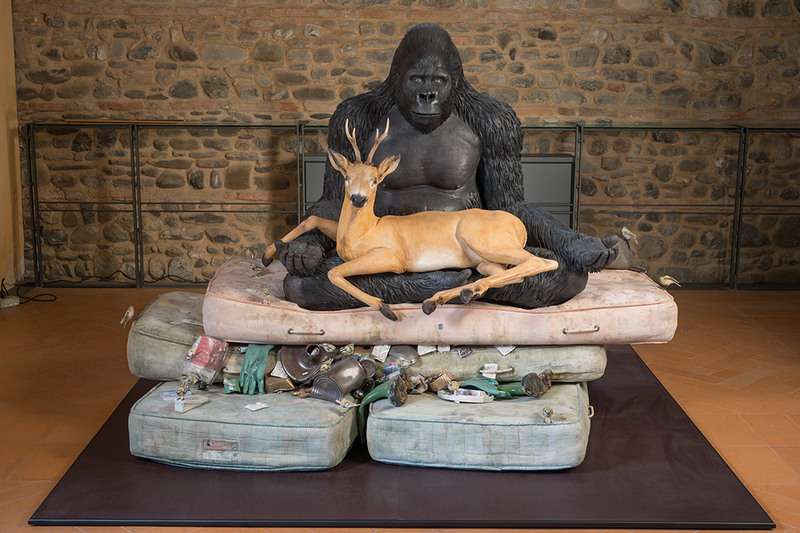 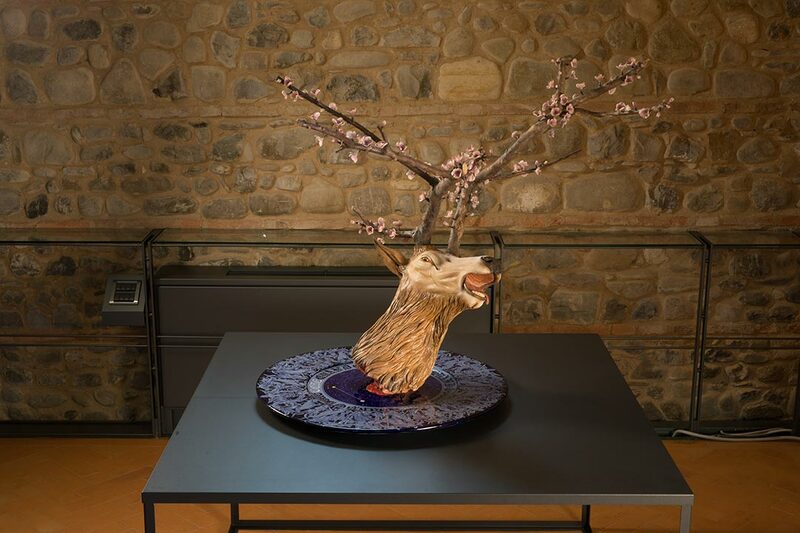 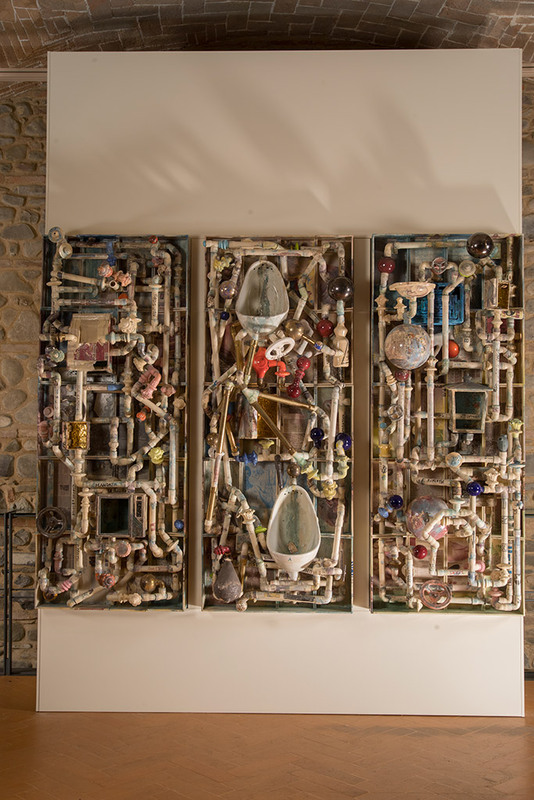 Only through ceramics could Bertozzi & Casoni reach that degree of mimesis of the natural forms or artificial objects that guarantee their “contemplations of the present” extraordinary powers of wonder, attraction, interrogation and also universality. 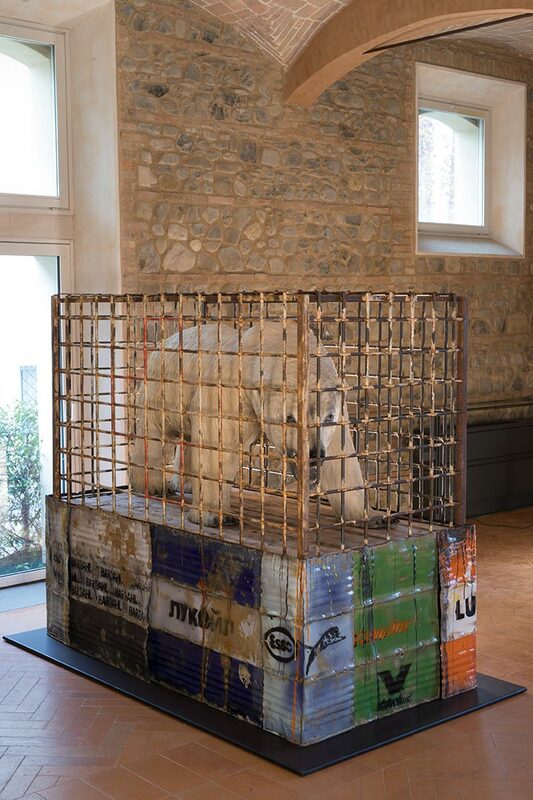 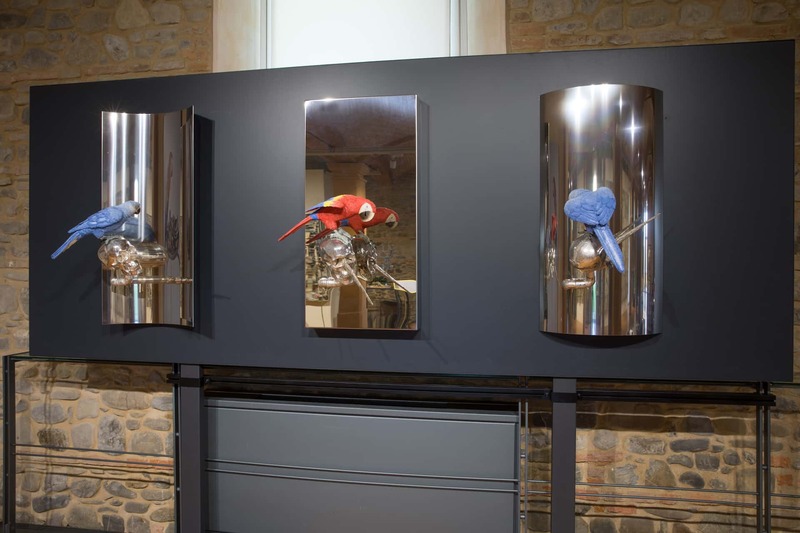 On permanent exhibit at the Bertozzi & Casoni Museum are rarely shown works such as Composizione e scomposizione from 2007, Composizione non finita-infinita presented at the Venice Biennale 2009, Sedia elettrica con farfalle from 2011, Regeneration exhibited in London in 2012, Polar bear from 2016 and Resistenza 2 created for the recent exhibition in Ascoli Piceno. 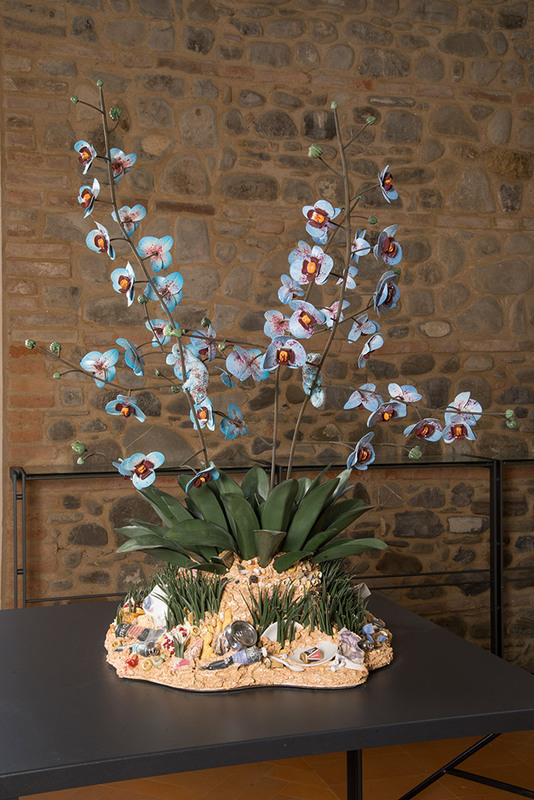 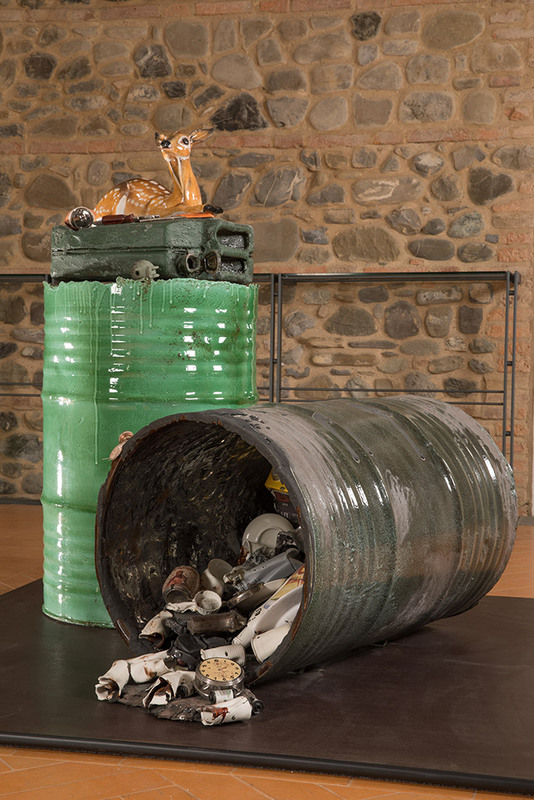 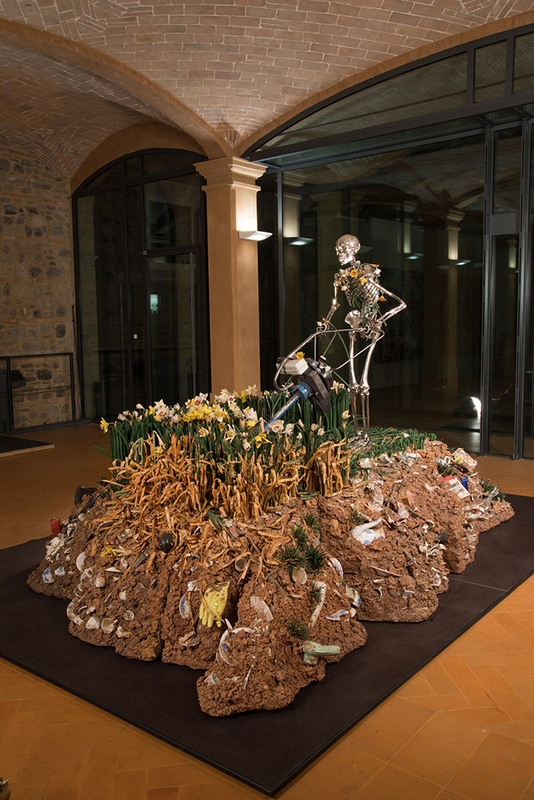 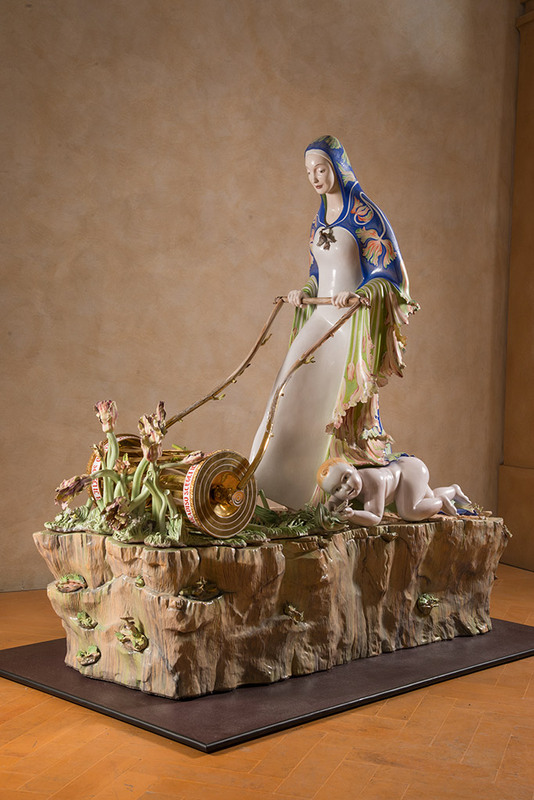 Among the large works included are Scegli il Paradiso from 1997, which exquisitely closes the chapter of painted majolica, and Madonna scheletrita from 2008, which represents one of the pinnacles of their work in its exploration of materials and techniques derived from industry and in the almost objective rendering of iconographic components in representational form.